Living with type 1 diabetes is a daily struggle of maintaining a balance between food, insulin and activity. Insulin pumps are life-changing devices for people living with type 1 diabetes. But too many British Columbians can’t afford them. Currently, the province excludes people with type 1 diabetes over the age of 25 from the insulin pump program, even dropping individuals from the program at age 26, regardless of their ongoing need for a pump. Many have to make the choice between the cost of an insulin pump or putting food on the table. These British Columbians – our friends and family – didn’t choose to live with type 1 diabetes. Why is our government making it harder for them? BC must expand the insulin pump program to all British Columbians living with type 1 diabetes who are medically eligible, regardless of age—because it’s the right thing to do. 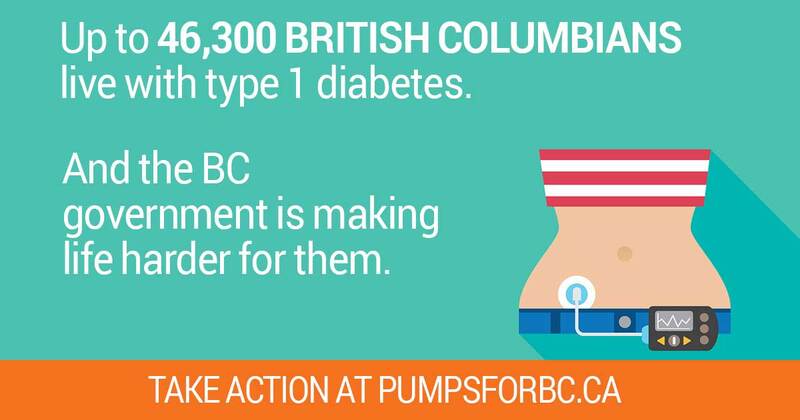 Join Diabetes Canada and ask your local candidates to support #PumpsForBC. 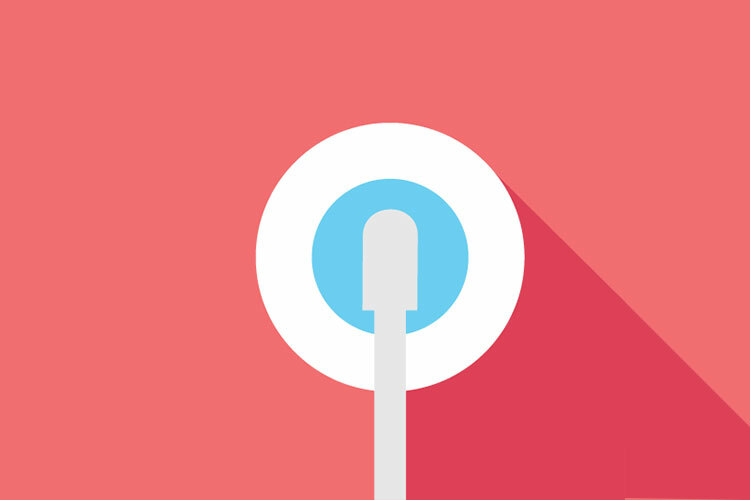 More than 463,000 British Columbians – 9.2 per cent of us – have been diagnosed with diabetes. Between five to 10 per cent of these individuals live with type 1 diabetes and the remaining 90 per cent or greater live with type 2 diabetes. The personal health burden is significant — diabetes is a leading cause of blindness, and contributes to 40 per cent of heart attacks, 30 per cent of strokes, half of kidney failures requiring dialysis, and an astonishing 70 per cent of all non-traumatic limb amputations. The cost of untreated diabetes is also significant as diabetes complications account for 80 per cent of the cost of diabetes to our health-care system. 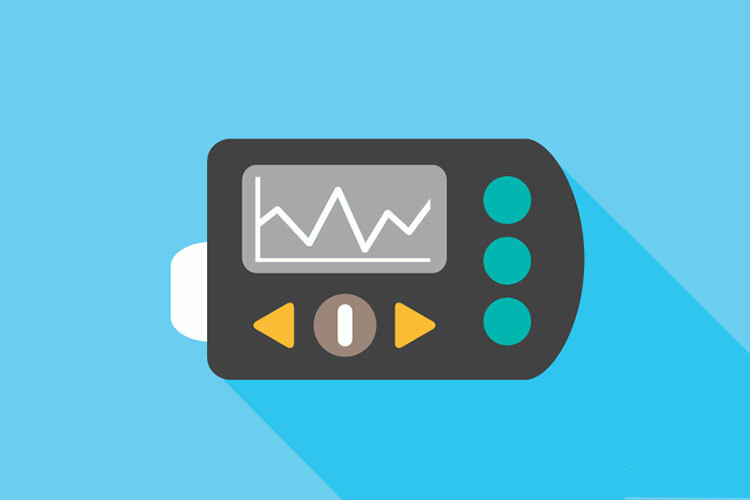 Insulin pumps are transformative for those living with type 1 diabetes. 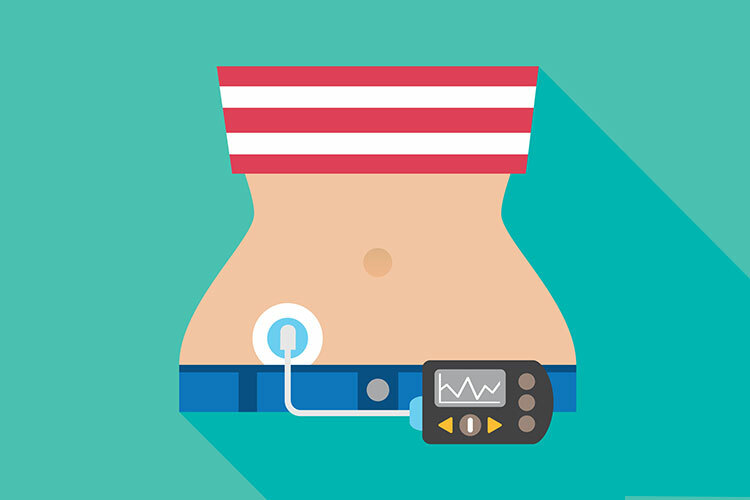 Research shows that insulin pumps lead to better health outcomes and quality of life. However, BC’s insulin pump program is age-restricted. 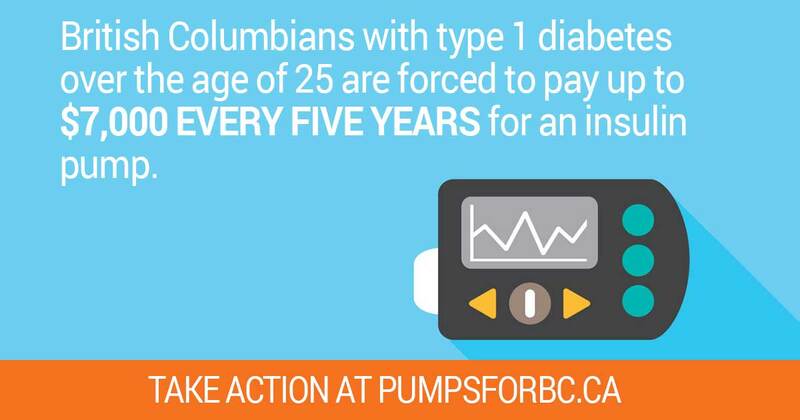 British Columbians with type 1 diabetes over the age of 25 are forced to pay up to $7,000 every five years for an insulin pump. For many British Columbians, insulin pumps are too expensive. Twenty-five per cent of people with diabetes report that the cost of medications, supplies, and devices affects their adherence to treatment. Too many have to choose between food and rent, or the medication, devices and medical supplies they need to live well. People with diabetes deserve better than this. 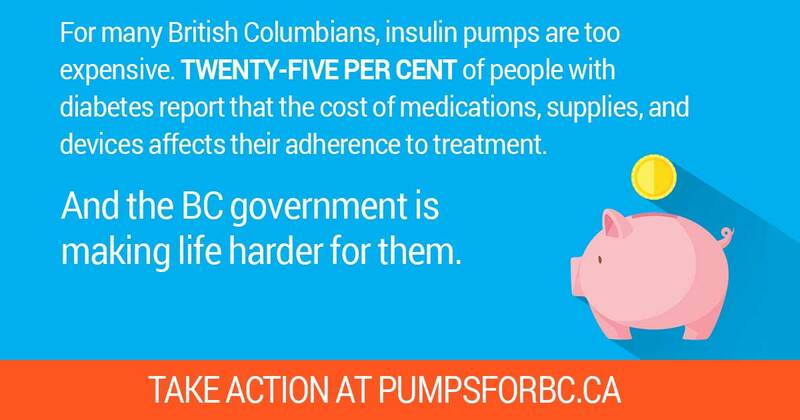 They deserve an insulin pump program that helps all people in our province living with type 1 diabetes. 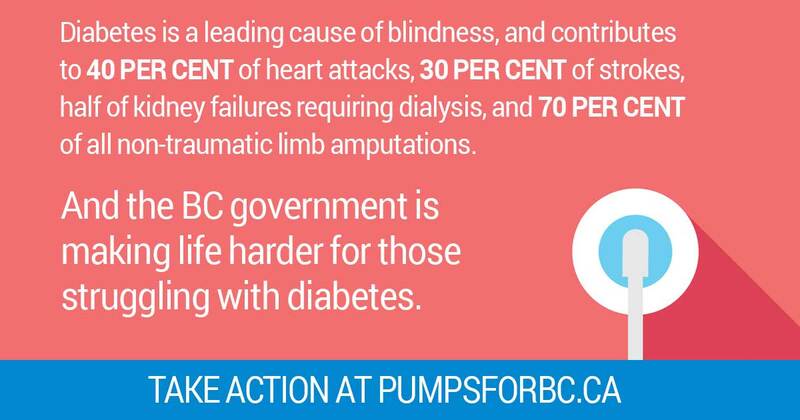 Use this tool to contact the provincial candidates in your riding and tell them: it’s time to make #PumpsForBC accessible to all British Columbians living with type 1 diabetes who are medically eligible, regardless of age. Diabetes Canada is making the invisible epidemic of diabetes visible and urgent by partnering with Canadians to End Diabetes through education, services, resources for health-care professionals, advocacy and research. © 2017 Diabetes Canada. All Rights Reserved. British Columbians with type 1 diabetes over age 25 who require a pump to deliver their insulin pay up to eleven per cent of their annual income for needed medications, devices and supplies out of their own pocket. 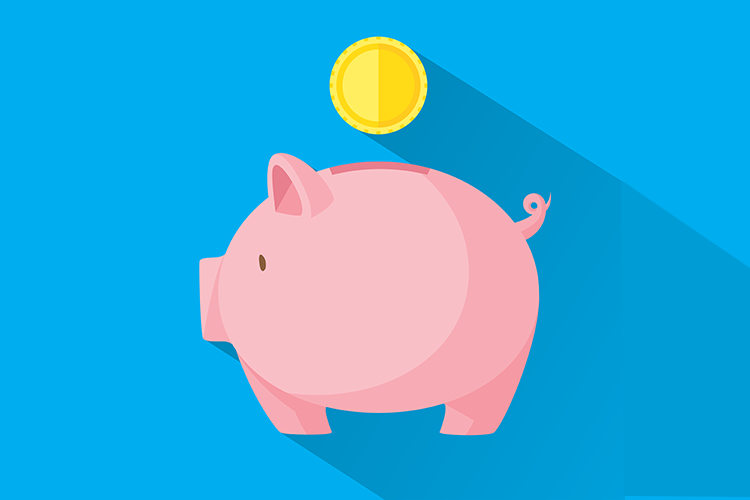 These costs are particularly difficult for low-income Canadians, such as those who do not receive social assistance, seniors on fixed incomes, or those who have high drug costs, but do not qualify for other forms of assistance. Lack of access to these diabetes supports can increase the risk for costly, life-threatening diabetes-related complications. Every day, British Columbians living with type 1 diabetes take insulin, so that they can live healthy lives. Many choose to deliver the insulin by manually injecting it several times a day while others use an insulin pump to deliver the appropriate amount of insulin when required throughout the day. Significant evidence exists demonstrating the medical benefits of insulin pumps versus multiple daily injections of insulin. By expanding the provincial insulin pump program to all British Columbians with type 1 diabetes who are medically eligible, regardless of age, the province will promote better health outcomes for people living with type 1 diabetes by helping to prevent or delay the costly secondary complications of diabetes, and by consequence, lead to eventual cost savings for the province. People living with type 1 diabetes are at high risk of developing one or more serious long-term complications that can be attributed to the disease, such as end stage renal disease (kidney failure), myocardial infarction (heart attack), stroke and limb amputation. 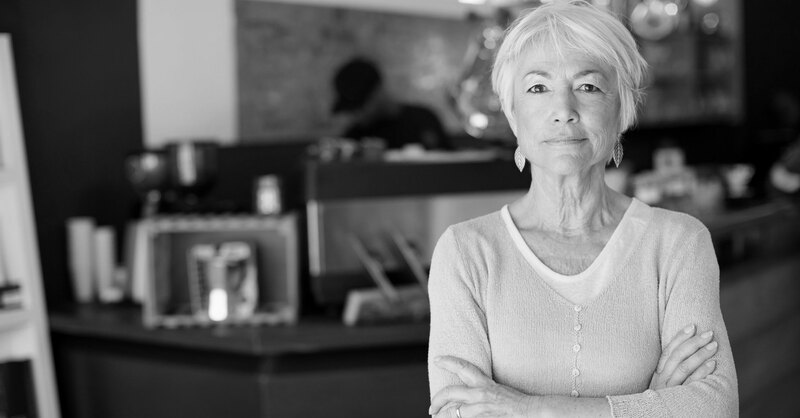 These serious complications develop over time and only become evident with age. Diabetes is a chronic disease that has to be treated seriously. The disease is defined by higher than normal levels of glucose (sugar) in the blood and can lead to serious complications. Type 1 diabetes most commonly begins in childhood and occurs when the body is unable to produce insulin, a hormone that controls the level of sugar in the blood. There is no known cure for type 1 diabetes.